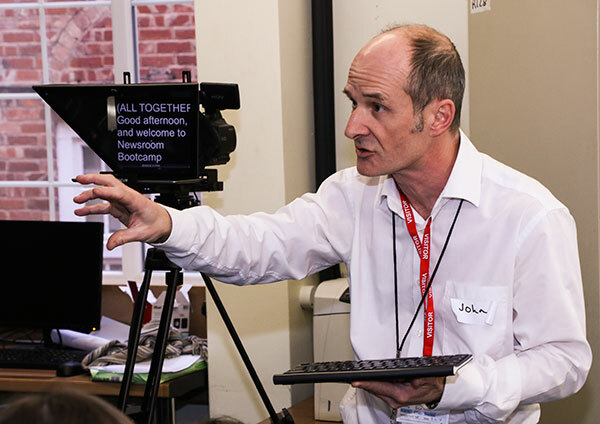 John Young, BBC South East news anchor and journalist delivered another of his excellent Newsroom workshop sessions at BHASVIC. He delivers a high octane interactive session where students learn all about how a busy newsroom works, and get the chance to use an autocue and make editorial decisions in real time, simulating the newsroom editor’s experience. BHASVIC Media & Performing Arts Department is very lucky to have a longstanding professional relationship with John Young and his fabulous workshops.